Classical songwriting with a filmic twist, infused with improvisational elements where “the storytelling aspect is the key”. 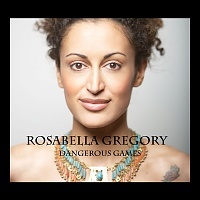 Rosabella Gregory was introduced to me by the legendary Tony Moore, champion and relentless supporter, promoter and mentor of talented up and coming artists. Rosabella is a classically trained musician who lives and breathes her craft; her songs are short stories, often referring to key episodes in her life, and she has a wonderful way with words which gives a clue to her intellect. Click on Rosabella’s name on the Artists menu at the top of the page for more about her, plus videos of her Under The Radar session!